Nepal and Singapore secured their berths to the ICC World Twenty20 Asia Finals after confirming a top-three finish at the ICC World T20 Asia Qualifier 'B' in Malaysia on Tuesday, 9 October. 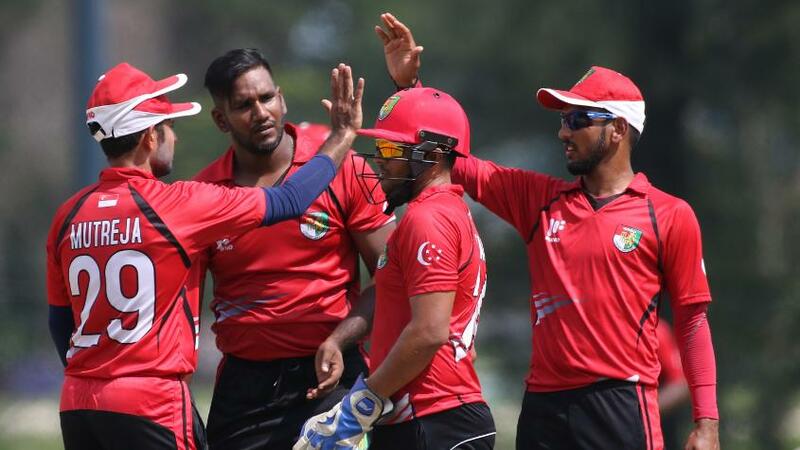 While Singapore claimed a fourth win on the trot with an eight-wicket victory over Thailand in Klang, Nepal romped past Bhutan by 117 runs in Bangi. Both teams have eight points with Nepal top of the standings on a better net run-rate. The two teams cannot finish lower than second as they are three points ahead of Malaysia and Thailand, who each have just one game remaining. Hosts Malaysia kept their hopes of a top-three finish alive after needing just 10 balls to beat Myanmar by eight wickets under the DLS Method in a match interrupted by heavy rain, and which saw two wickets fall in the opening over of each innings. Thailand lost four wickets in a row from 23/1 to Player-of-the-Match Manpreet, who finished with figures of 4/14 from four overs after taking advantage of a turning wicket. 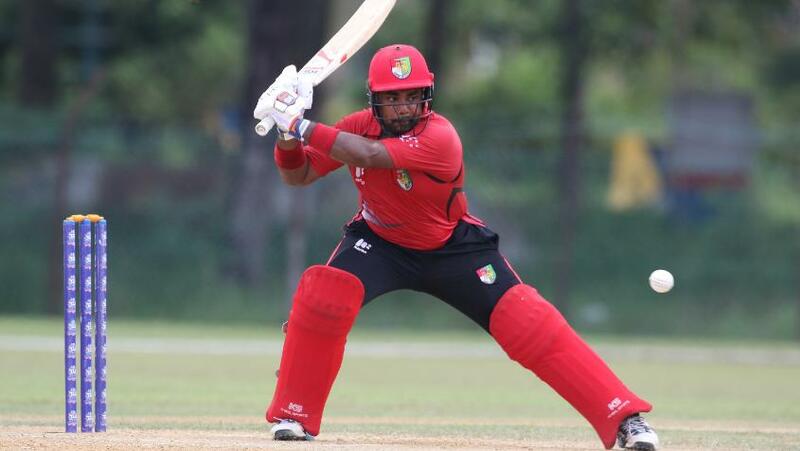 Aritra Dutta hit four fours and a six in his 36 runs off 30 balls while Chaminda Ruwan Kumarage had two four and two sixes in an unbeaten 38 to steer Singapore to victory. With the job of securing qualification to the next round complete, Singapore turn their attention to face Bhutan on Wednesday before a top-of-the-table clash against Nepal on Friday. "But we're still taking it each game at a time we'll see about Nepal the day after tomorrow. The whole team is looking forward it to as we're all pretty happy at the moment." Nepal bowled Bhutan out for 33 runs in 16.4 overs after scoring 150 for the loss of four wickets in 20 overs at the UKM Oval. Sandeep Lamichhane and Lalit Rajbanshi shared the bowling honours with three wickets each as four Bhutan batsmen failed to score. Earlier, Pradeep Airee paced Nepal with 75 runs for the highest score of the tournament after blasting six fours and two sixes off 68 balls. Airee, named Player of the Match, was supported by Anil Kumar Shah (27) as they put on 66 runs for the second wicket. Malaysia were left at the mercy of the weather after snaring eight wickets and conceding just nine runs in 30 minutes, as Pavandeep Singh returned impressive figures of 5/1, before heavy rain forced play to a halt at Bayuemas. But a tremendous effort by ground staff and the entire Malaysian team to drain the outfield of stagnant water allowed play to restart with Malaysia set a target of six runs from eight overs. Malaysia suffered a fright, though, in losing openers Anwar Arudin and Shafiq Sharif to Pang Danu (2/2) in the first over without scoring but Suhan Alagaratnam's straight hit for six ensured there were no more hiccups as Malaysia ended on 11/2. Having won the toss and put Myanmar in to bat, Malaysia exclusively employed spinners in a rush to get a win ahead of the expected downpour. The hosts made a terrific start as Pavandeep began his four-over spell by trapping opener Lin Thu leg-before with the first ball of the innings before removing Ye Naing Tun two balls later. Anwar Rahman claimed two wickets for three runs before rain threatened to wreck Malaysia's hopes of finishing third. "When it started to rain, we hoped to bat again. Thanks to the curator, ground staff and the boys, we worked hard to get the ground dried. We were lucky we managed to get it done and the umpires gave us eight overs," Faiz added. On Wednesday, Nepal play China in a top versus bottom clash in Klang before Thailand face Myanmar while Singapore take on Bhutan in Bangi. 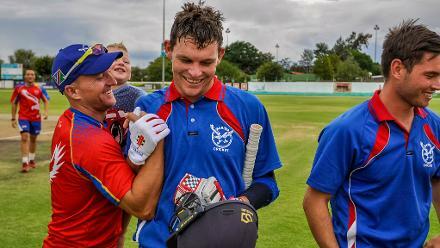 For results, live scores and information on the ICC World Twenty20 Asia Qualifier ‘B’ please click here.